cabbage chutney recipe | cabbage pachadi recipe | muttaikose chutney with detailed photo and video recipe. 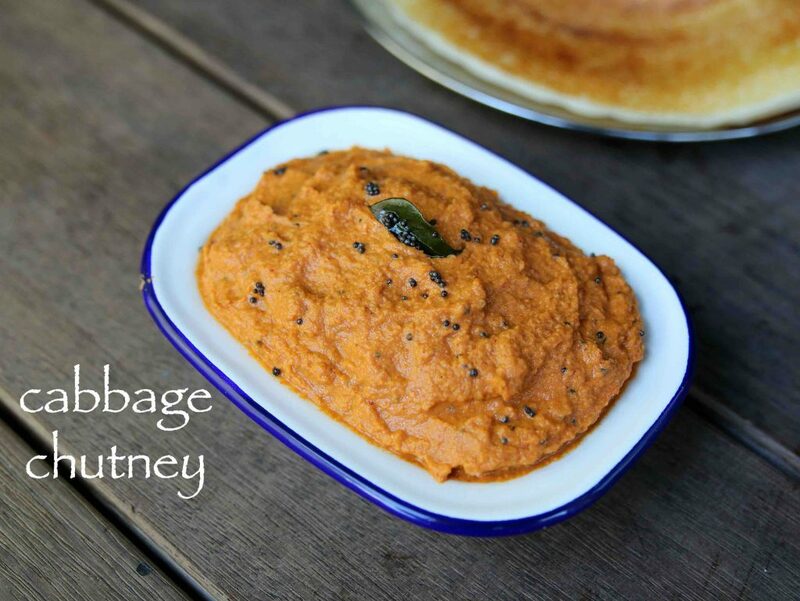 a simple south indian spicy chutney recipe prepared from shredded cabbage and combination of lentils. 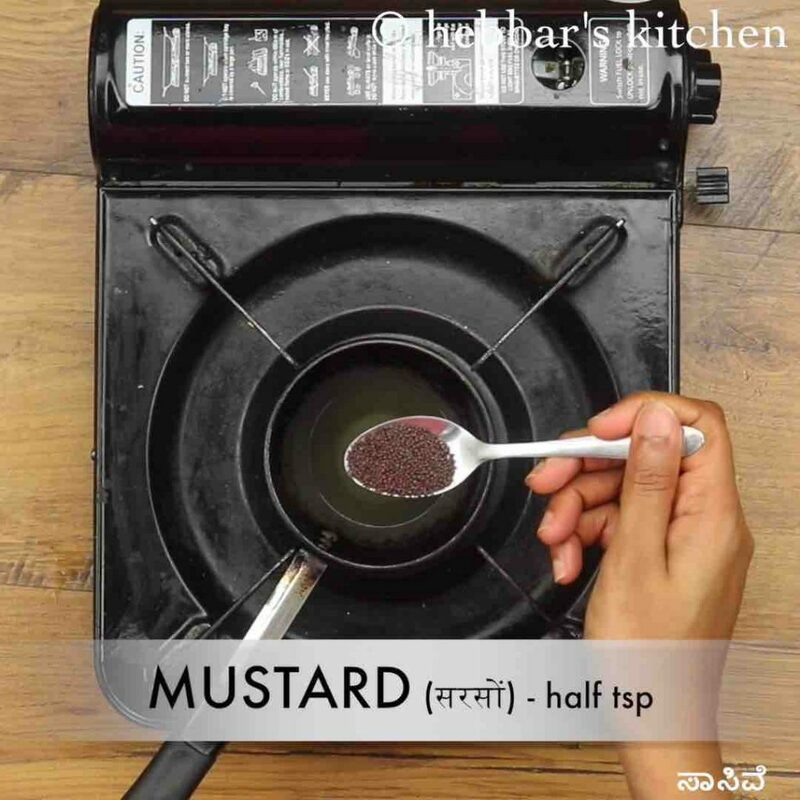 it is an ideal condiment for south indian breakfast recipes, especially for idli, dosa and idiyappam. in addition, it can also be served as side dish to rasam rice or sambar rice or perhaps to roti or chapati for dinner. cabbage chutney recipe | cabbage pachadi recipe | muttaikose chutney with step by step photo and video recipe. perhaps one of the simple vegetable-based chutney recipe which can be easily prepared within minutes during morning rush hour. 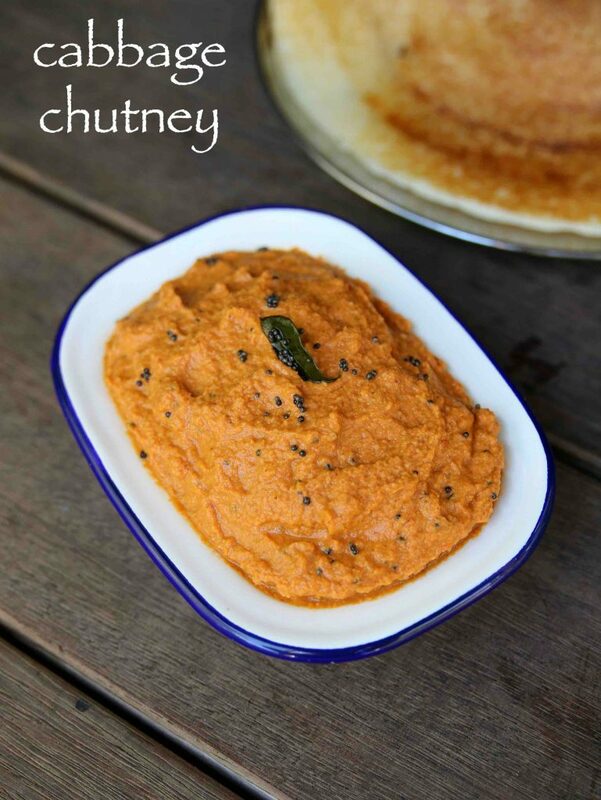 it can be ideal chutney recipe, replacing the same monotonous coconut or peanut-based chutney from your breakfast menu. further, the recipe can also be adulterated by adding peanut, coconut or roasted chana dal as a fusion recipe. 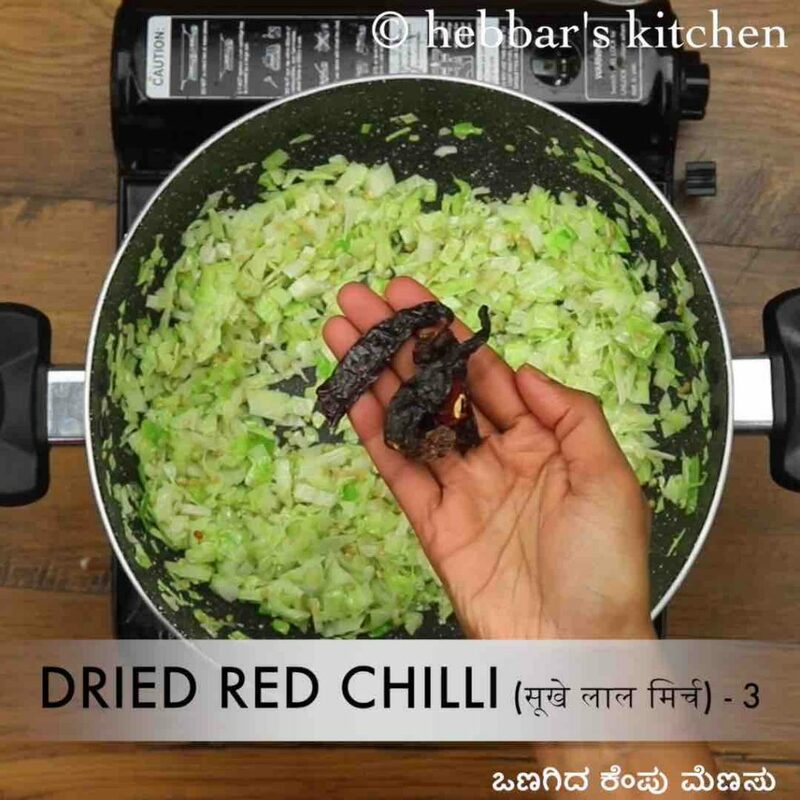 the recipe for cabbage chutney is shared by sahana hebbar from the usa. 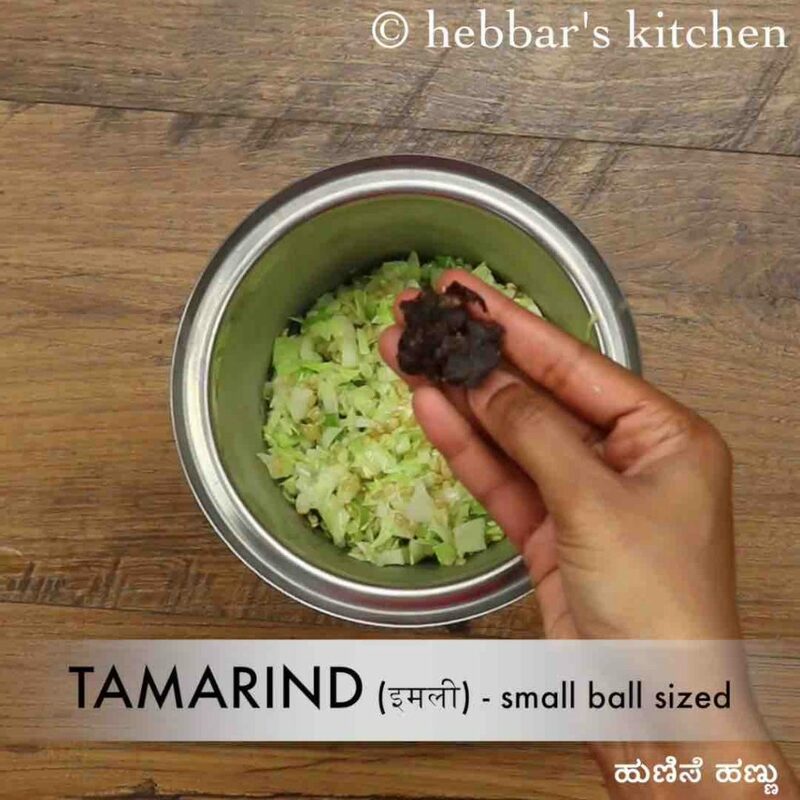 she has been following hebbar’s kitchen for quite some time now and was really excited to share this recipe with me. according to her, she was searching for this recipe in my blog and she couldn’t find it and hence she decided to contribute it for the other readers. 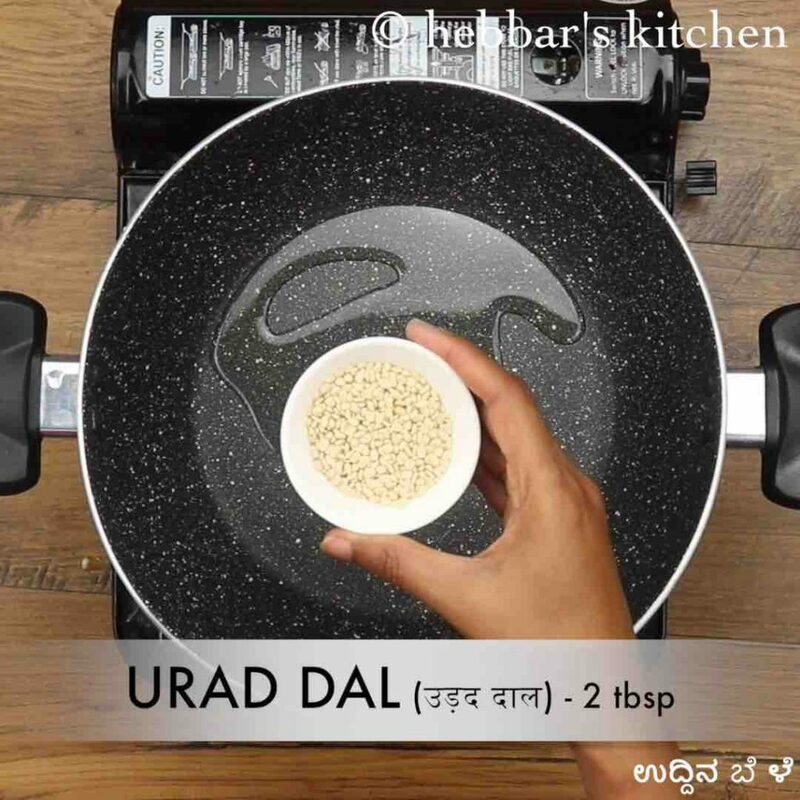 having said that i have introduced subtle changes to this recipe especially with the quantity of urad dal. anyway, many many thanks to her and i expect more and more recipes from you going forward. as matter of fact i encourage other readers with this blog post to contribute more and more recipe so that i can try and post it with the video. 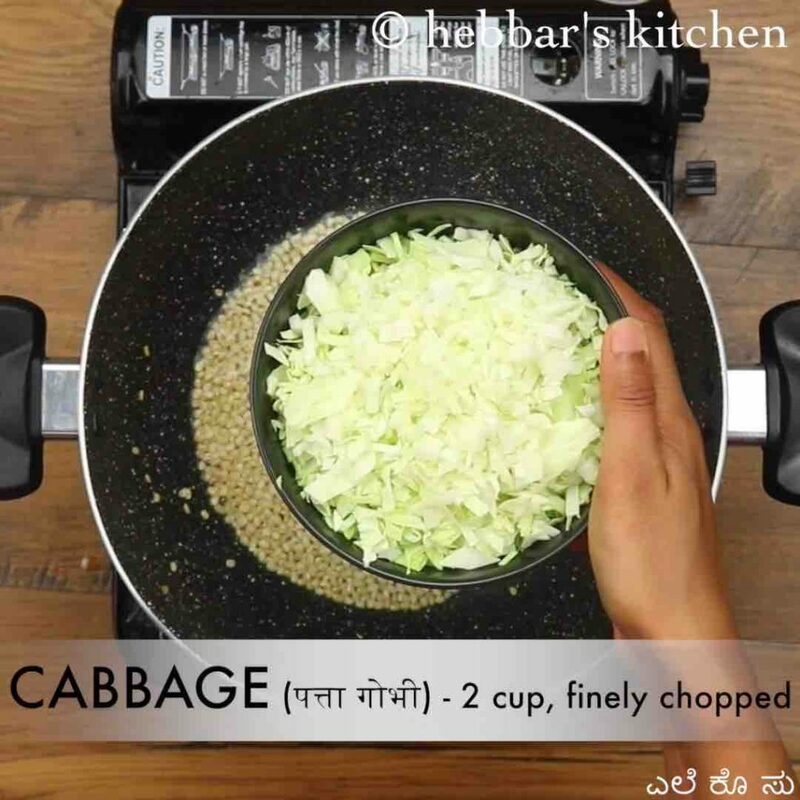 the recipe for cabbage chutney is extremely simple yet some tips, recommendations and serving ideas for it. 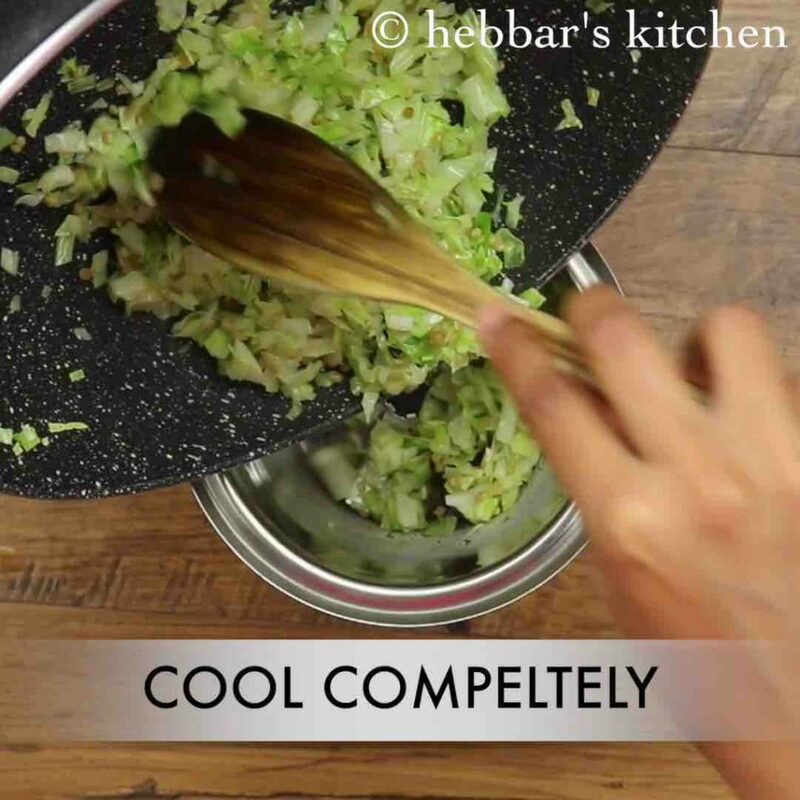 firstly, you can either shred or roughly chop the cabbage or even use food processor for the same purpose. it does not required to be fine as eventually it would be grounded to fine paste after frying. secondly, if you prefer to have a green colored chutney then add green chilies while frying cabbage. make sure to not to add red chilies if you are adding green chilies. lastly, do not restrict this chutney only for morning breakfast as it can also be used as side dish to rasam rice or sambar rice combination. firstly, in a large kadai heat 2 tsp oil and roast 2 tbsp urad dal and a pinch of hing to a golden brown. add in 2 cup cabbage and saute until the cabbage shrinks slightly. now add 3 dried kashmiri red chilli and roast for a minute. cool the mixture completely and transfer to the blender. 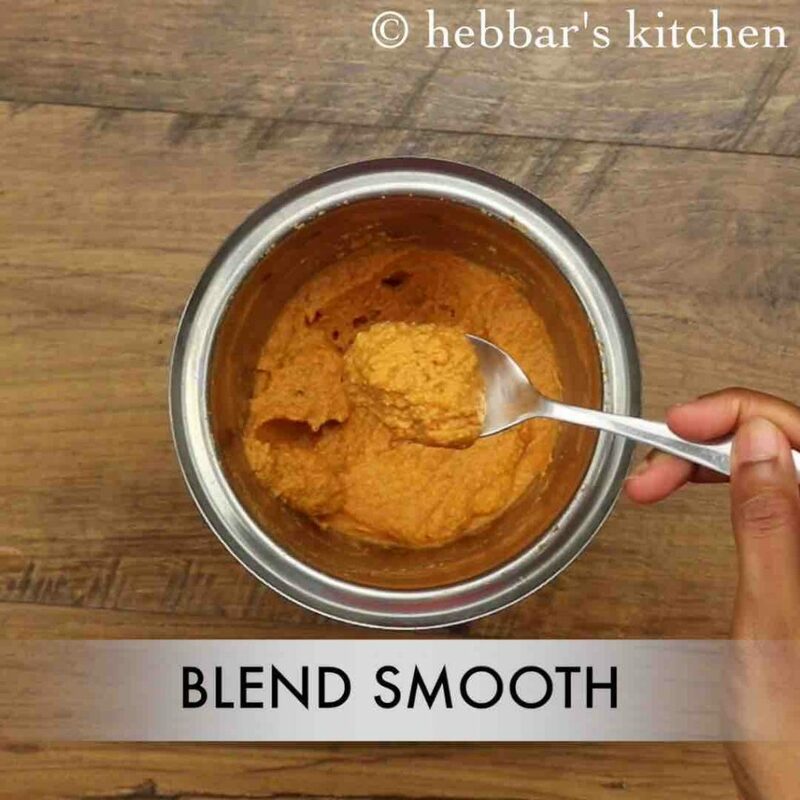 blend to a smooth paste adding ¼ cup water or as required. 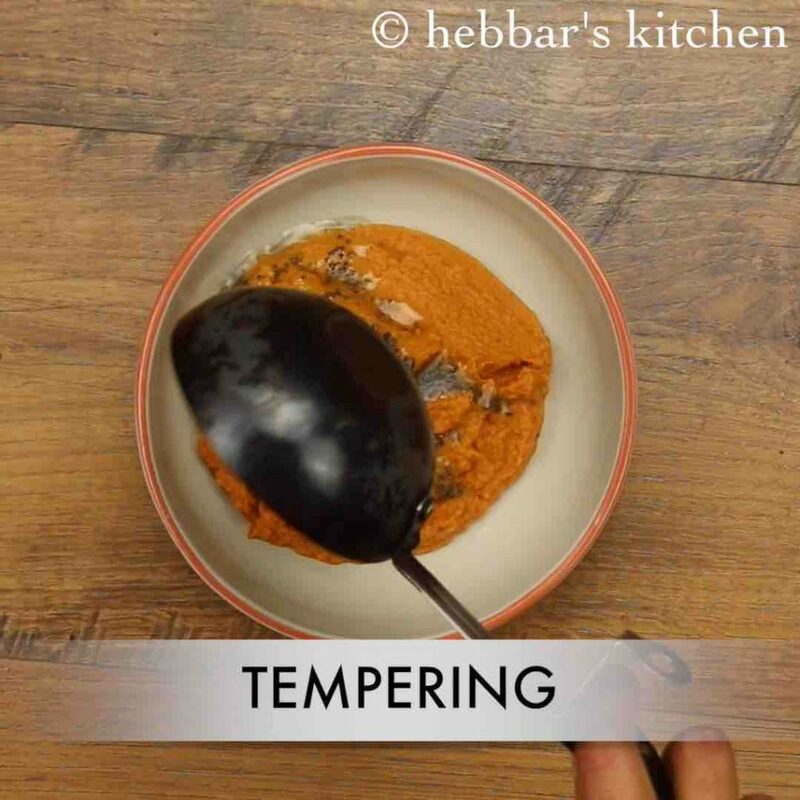 now prepare the tempering by heating 2 tsp oil and splutter ½ tsp mustard and few curry leaves. 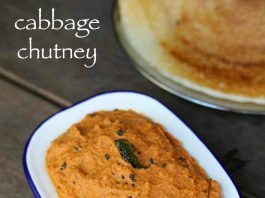 finally, serve cabbage chutney with dosa, idli or rice. firstly, do not cook cabbage too much as it turns to be too soft. also, add coconut if you prefer the flavour. additionally, roasting onion and tomato along with cabbage increase the flavour of chutney. finally, cabbage chutney recipe tastes great when blend to smooth paste.